BMW Group may be considering a 9 Series model for its product portfolio, according to design director Adrian van Hooydonk. Such a model would likely arrive in the form of a four-door coupe and compete with the likes of the Mercedes-Maybach S600. 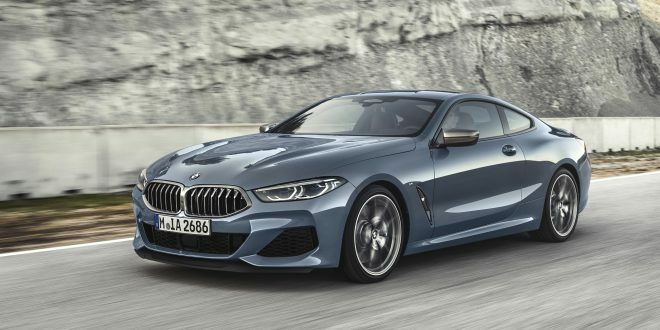 While not an outright confirmation, it certainly leaves little room for interpretation that the German brand aspires to have a model above the upcoming 8 Series. The news comes as little surprise, given BMW has been quite vocal about its plans to push itself further upmarket with its high-end portfolio. Of course, details of this alleged 9 Series have yet to be disclosed. AutoCar speculates the car will ultimately end up being a four-door coupe model to compete with the S600. The car would likely utilize the same architecture that underpins the 7 Series, which is also utilized by the new 8 Series. It’s also worth noting that BMW has trademarked everything from i1 to i9 and X1i to X9i, so the company certainly has the flexibility to roll out a 9 Series lineup beyond just a four-door coupe variant.